●Totally European design, streamlined looking,Monoblock,Welded steel frame rigid to deflection moment and high tensile with ST44 A1 material. ●The thing that sets our corner notchers apart from other sheet metal equipment out there is our patented blade gap adjustment that allows the operator to cut different thickness without any adjustments needed by the operator.This allows our blades to last longer and gives us a nice burr free cut. ●Our machines shear with the blades in the negative position as well as the positive position. Which one you use is based on which part you want to keep, the finished part pulled from the machine (best is Negative) or the dropped piece (best is Positive). Negative cut allows for less deformation on the finished part. Negative cutting clamps the sheet metal down so there isn't any movement. Positive cutting will want to move the sheet away from the stops allowing for room for error. ●Regarding our variable angle notchers, the variable angle blades are fixedin three positions. The pivot point and the end points of each blade is fixed after adjustment to angle is made. 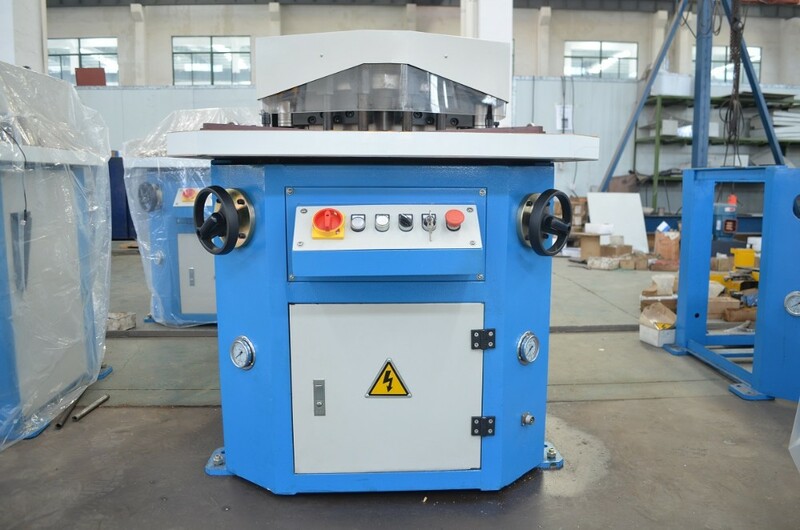 This type of rigidity separates us from other sheet metal fabricating equipment on the market. ●Our variable angle machines can notch from 40°up to 130°. We can shear a 130°notch in one pass with one drop, some other machines require two cuts resulting in two drops. ●Bamboo notching drop the waste into a chute and the chute drops the waste in a bin outside of the machine. Believe it or not, there are some machines on the market where the dropped material goes into a bin in the middle of the machine making the operator have to bend into the machine to take out a heavy bin of scrap to throw out. Thus our machines offer a more ergonomically friendly machine for the operators back. ●The stop guides have dove tail grooves in the tail that allows for a tighter more secure guide setting, allowing our machine more accuracy and repeatability. ●Bamboo offer notchers that can shear up to 3/8" thick mild steel, with blades up to 9-3/4" long. ●The shearing head is the most rigid in the industry because we employ a five point fixed head. A stable shearing head is very important to blade life,and machine life when notching heavier plate.